Say bye-bye to melasma and hello to perfectly virgin skin. 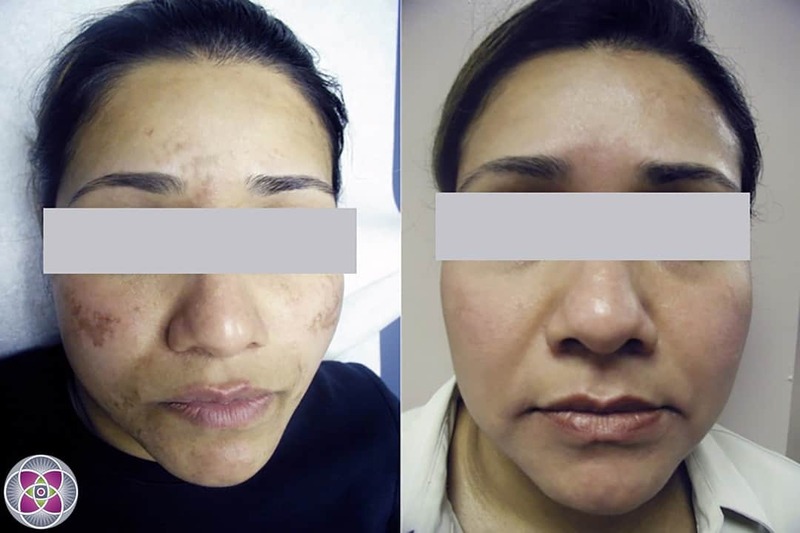 Even the most challenging cases of melasma, occurring in darker skinned women, can be effectively treated with AMA Regenerative Medicine & Skincare’s advanced laser protocols. Melasma is a dark skin discoloration caused by excessive melanin found predominantly in women on sun-exposed areas of the face. It’s a very common skin disorder that can be effectively treated with AMA Regenerative Medicine & Skincare’s advanced laser treatments. Those most affected by this skin disorder are women with medium to darker skin tones. Women experiencing hormonal fluctuations in pregnancy, or while taking contraceptive pills or hormone replacement therapy, have a greater incidence of this condition. The risk is even higher for those over-exposed to sunlight, or whose skin has suffered chronic irritation from external sources such as chemicals, abrasion and even waxing. Typically, melasma first appears as dark spots on the face such as sunspots or sun damaged skin, and later develops into a more extensive “mask-like” coverage of the skin, with an uneven, brown-toned discoloration found mostly on the cheeks, nose, lips and forehead. 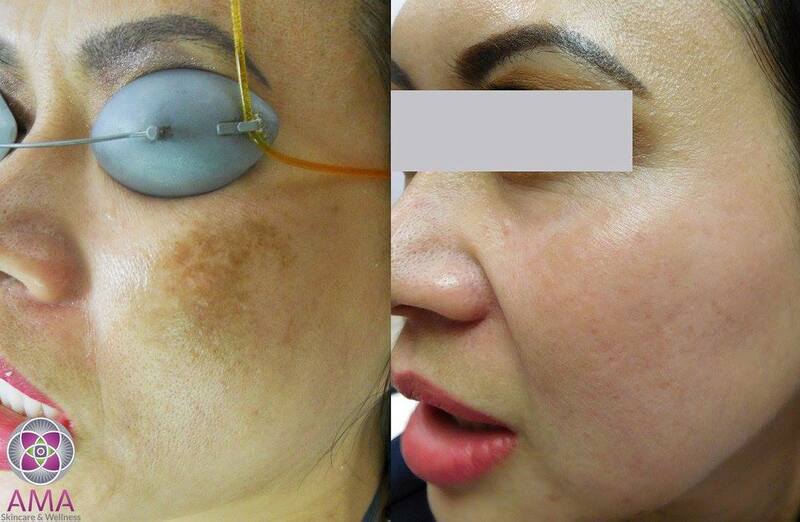 See above to view before and after photos of laser melasma treatments. 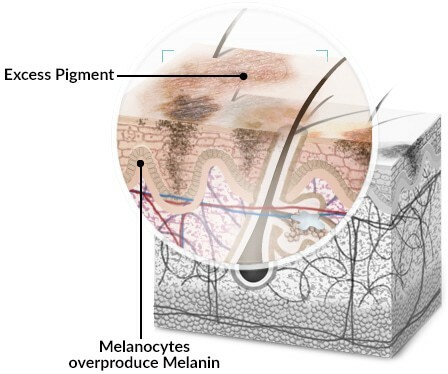 The color of skin affected by melasma will vary depending on the concentration, density and depth of melanin at different locations within the affected area. Accordingly, the most effective melasma treatments often require a combination of different lasers. Fortunately, AMA Regenerative Medicine & Skincare has 7 different types of lasers that effectively target virtually all types of skin discolorations. Melasma afflicts primarily mid-color skin, whose genetic code makes their skin hypersensitive and hyperactive to almost any irritation. Thus, especially in the case of an un-stable melasma, even a treatment designed to remove excess melanin might actually stimulate the already hypersensitive and overactive melanocytes inducing them to make even more melanin, making the melasma worse than before. 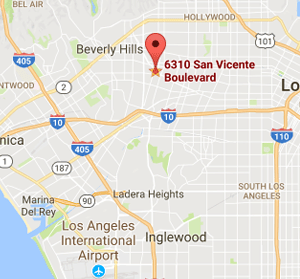 Virtually every day in our office, new patients arrive from all over the country and even the world who show us pictures of how their melasma was made worse by previous treatments they received by well-meaning doctors, and at fancy med-spas. So, if the melasma is so hypersensitive to stimulation, how can it be successfully treated? By not trying to remove the melanin…. Rather, by getting your body to remove the melanin. Let me explain: Everywhere on your body, the physiology of your skin is maintaining the proper balance of melanin in your skin. Its only in a few melasma spots on your face that are “wacked” out. Thus, rather than interfering with or circumventing your physiology we want to engage it, and remind it to do to the skin of your melasma what it is doing successfully everywhere else on your body. This is a physiological approach to restoring health and homeostasis to your skin. Generally conventional doctors choose to treat the melasma with a laser that will target and vaporize the melanin. However, this delivers enough energy to the skin that also irritates the hypersensitive melanocytes, which is likely to make the melasma worse. We use specific lasers modulated in precise ways, to deliver energy that will change the molecular structure of the melanin but not vaporize or remove it. As a matter of fact, all the melanin that was there before the melasma treatment is still there after the treatment. Furthermore, the melasma will actually appear a little bit darker than before the treatment because once the molecular structure of the melanin has been altered, it reflects light differently at the surface of the skin. At that point the immune system is alerted to the presence of the altered melanin particles that now appear foreign and consequently the immune system gets busy dissolving away the altered melanin. Thus, we are NOT removing your excess melanin, your own physiology is doing the work, just as it was designed to do. The trick is knowing what kind of energy to use, or combination of energies to use that are emitted from different lasers. As a matter of fact, there are 5 different frequencies of laser energy that are useful in targeting melanin. Furthermore, there are 3 different ways to modulate the “pulse duration” of the energies that also effect how the melanin will interact with the laser (Long-Pulse, Q Switched, PICO). Watch the video : What is the PICO laser? Consequently, there are 15 possible ways to deliver laser energy to your melasma, and when you take into account the different combinations of these 15 ways, the possibilities are enormous. Even though we have administered over 83,000 laser treatments during the past 20 years, we are endlessly amazed at how different every patient’s physiology can be. There is NO one-size-fits-all or paint-by-number protocol that will work. Accordingly, before we can design a customized melasma treatment protocol for any particular melasma patient, we first have to individually assess their condition. Most times, this requires test treatments of small areas of skin, to assess how the patient’s skin responds to various energies. We do not charge for this, as understanding your skin is our unique expertise and why our patients come to us. We also want our patients to experience the effectiveness of the melasma treatments before they decide to proceed. Bottom line, the skin will “reveal its secrets” to us if we gently and creatively ask it. As you can probably imagine, this requires patience on the part of both doctor and patient. Depending on how much melanin is in the melasma skin, typically a series of 4-8 treatments are needed, with intervals of 3 weeks between treatments during which you will watch your melasma fade away. What magically happens when all the above steps and phases proceed correctly, is that the hyperactive melanocytes that created the melasma to begin with, are mysteriously reset back to their original settings and stop overproducing melanin. Simply stated, the physiology is now back in balance, your skin color blends and evens out, and the melasma stays away… it is essentially cured. The key point is this: A melasma treatment that is focused on removing the melanin, is NOT the issue… because as long the melanocytes are set too high, the melasma will come right back. The key is to reset the melanocytes back to their normal setting. With stable melasma, this degree of success is achieved approximately 90% of the time. UN-stable melasmas are much more difficult to treat. Generally, we achieve satisfactory results between 50-60 percent of the time… but the results are far less secure, and un-stable melasmas can relapse without any obvious provocation, and much easier if the patient forgets to shield her skin from the sun and other inflammatory conditions. Q. 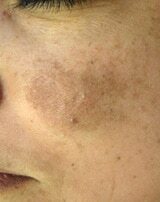 How would I know if the brown patches on my face were melasma or sun spots? What is the difference? A. Melasma is usually caused by hormonal shifts and is often referred to as the “mask of pregnancy”. The starting of birth control pills can also cause it to appear in some women that are particularly sensitive to these shifts. Even switching to a new brand of birth control can cause the brown patches to arise. For some, the melasma will simply fade away once their hormones return to their normal state. For instance, after giving birth or stopping the use of birth control pills. For others, treatment of the melasma may be the only solution to make it go away. Melasma is also made worse with excessive exposure to the sun. There is not a hormonal component associated with sun spots. Sun spots are caused by over exposure to the sun for long periods of time. As we age, we are more likely to get sun spots if we spend a lot of time in the sun. 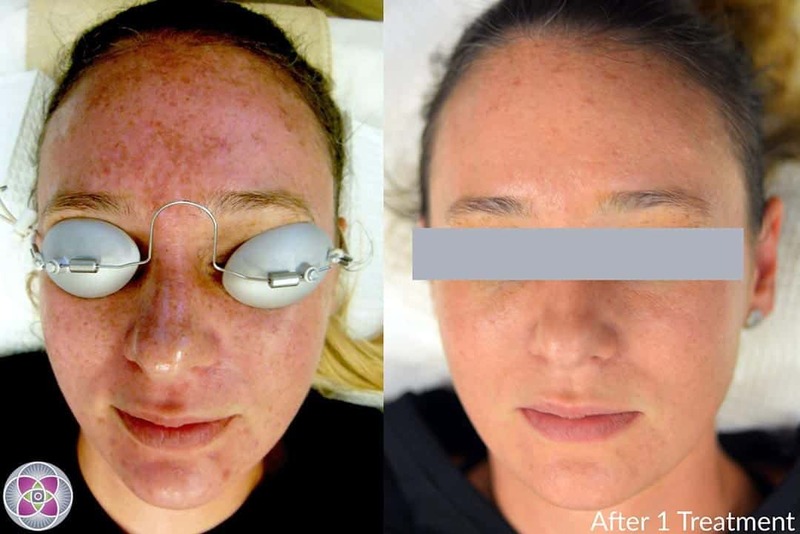 Laser treatment for melasma is more difficult than for sun spots, however, both can be successfully treated and removed. Q. 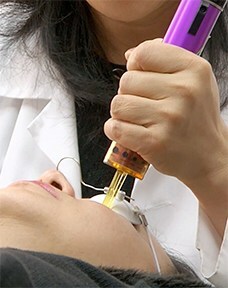 Can this laser treat the red pigmentation marks on my face that were caused by acne? A. The red marks are actually inflammation left over from the acne not pigmentation. 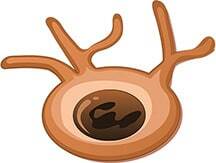 They are caused by vascularization that was left over from inflammation. They are not caused by melanin, your skin’s natural pigment. The good news… Yes! Such marks can easily be treated with lasers. Q. I have melasma on both sides of my neck. I also have it on my left arm from my elbow to my wrist. It seems to be spreading. I’ve tried Tri Luma and chemical peels but neither has worked. Can this treatment help me? A. Our laser melasma treatment protocols can more than likely help. First, we need to establish the likely cause of you melasma with a thorough evaluation. 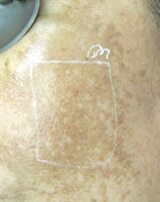 This will allow us to determine if the melasma is “stable” or “unstable”. During the evaluation we often times perform test treatments with different lasers. We need to understand how your specific skin responds to the different technologies. This allows us to customize the most effective treatment for your particular skin that will achieve the best possible results. Q. I’ve been told that the brown patches on my face are an unstable melasma. Will this treatment get rid of it? Can the melasma come back? A. We are confident that we can provide you with treatments that will achieve successful results for your skin. However, before I respond specifically to your concerns about the potential for your melasma to return, let me explain in general terms the bases of why our laser treatments are successful. A primary reason for our success in the clinical science of aesthetic dermatology, is because we customize laser protocols for each patient according to their skin’s needs. In tougher cases, such as a melasma this may also require that we first try a number of small test treatments in order to establish which protocol methodology is best suited for your skin. We call this, “finding the physiological roadmap” to a healthy and successful outcome. In every patient, the roadmap is not found in a text book or medical reference. The roadmap is as unique as the patient, and is inherent in the patient’s own physiology. Thus until we “consult” the patient’s physiology by engineering an initial test protocol, we won’t know with certainty what the best course of treatment is. 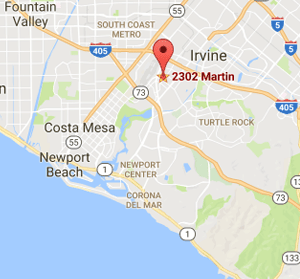 Your case is one that requires some testing, and you will be pleased to know that we do not charge for the testing. Now, specifically about a case of unstable melasma such as yours. Yes, in such cases, even after a successful reduction of the initial melasma, if the patient’s skin is subjected to the conditions that stimulates their melasma, the melasma might return. For some patients, they unfortunately have to “chase” the melasma off their skin every few years, until such time as their melasma becomes stable and can be removed permanently. Melasma Causes – What Causes the Dark Spots on My Skin?